Never before have I wanted, of my own free will, to do in-game purchases. Yeah, you heard me right. 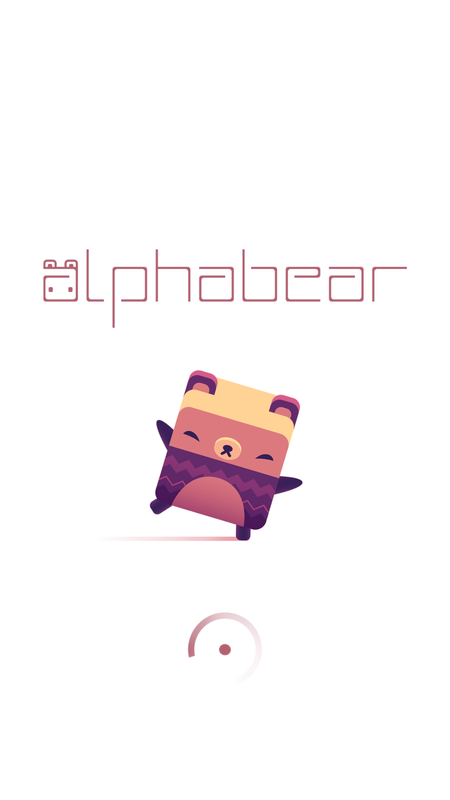 Alphabear is a cellphone game that is based on a boggle style game mechanic. You are given letters and you get points for spelling different words. They have added some Scrabble-esque features like point values per letter, but made it their own. They have also added a power up/ RPG style feature where your party of bears grow and gain more bonuses from experience points. The mechanics they have added make the game really fun and challenging. Over time the point value of an unused letter diminishes until the tile turns to stone. Stone letters impede you’re progress. 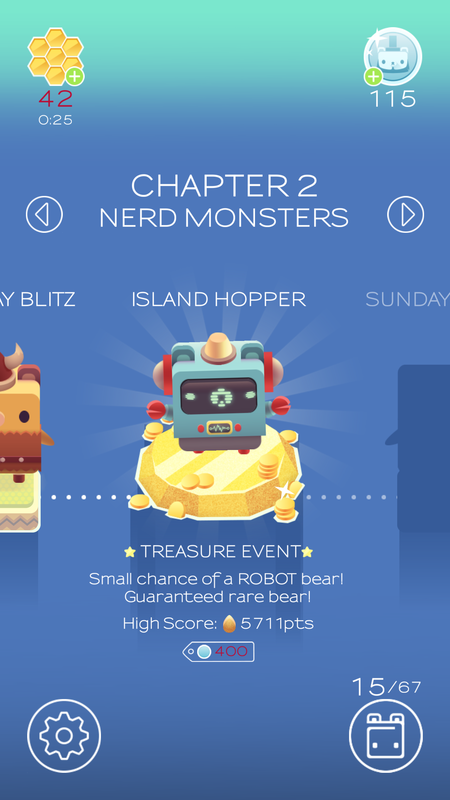 In each chapter there are bear characters that you can collect to help you through levels. They each have unique powers. 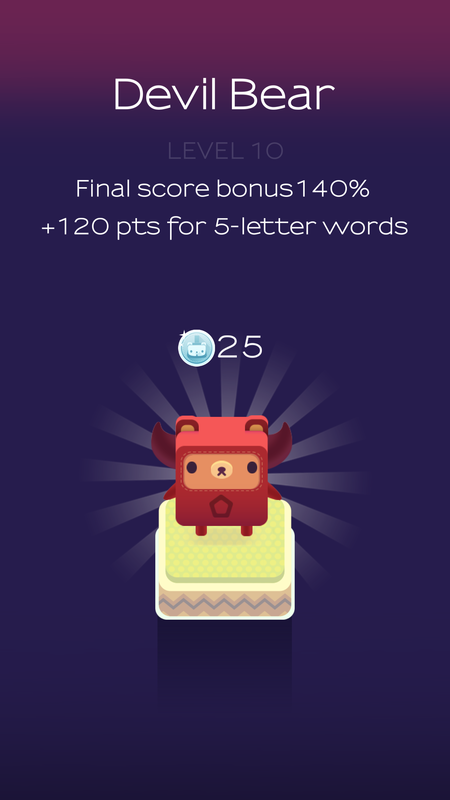 Some give you end score bonuses for specific letters or word length. 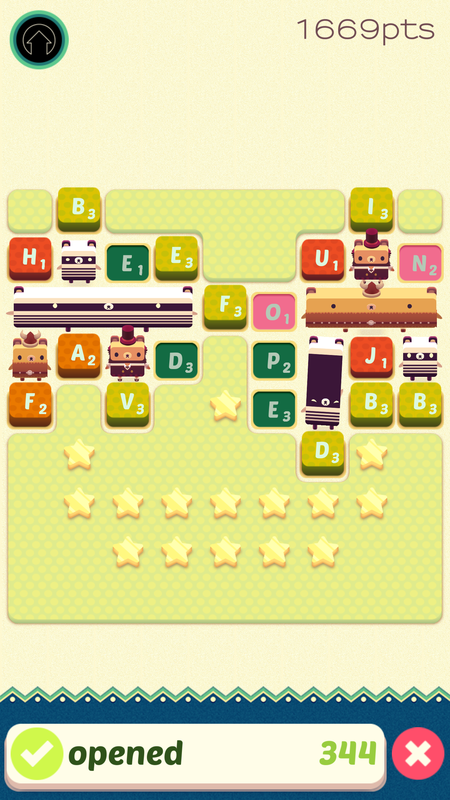 Other bears help you with timed puzzles or keep letters from turning to stone for longer time. 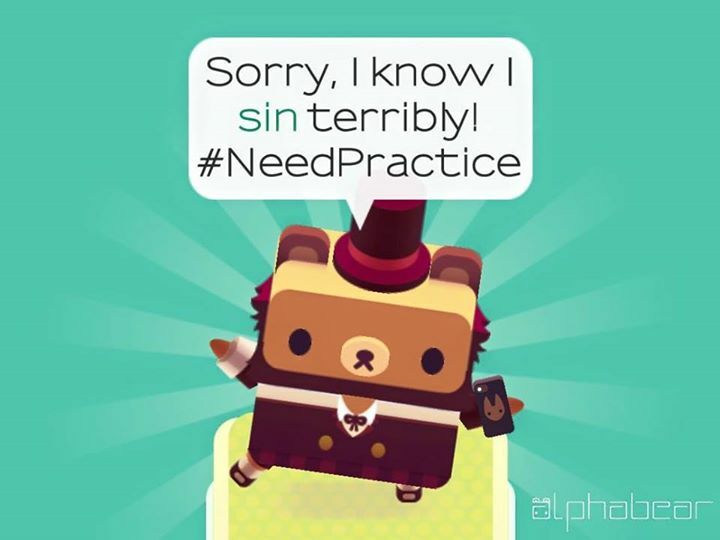 The more you play, the stronger your chosen bears get. 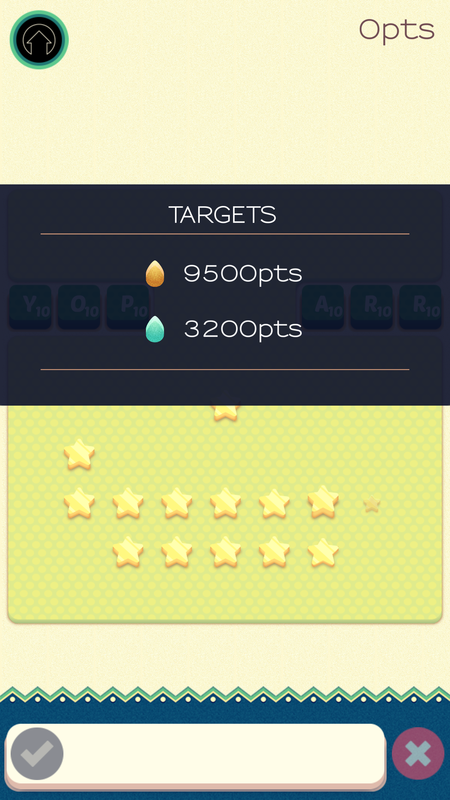 They earn levels and their score bonus will increase and make it easier to make either goal. Every day there is a big puzzle and a basic puzzle. The basic puzzle is usually timed. After you beat the two puzzles there are boss puzzles to progress from chapter to chapter. Two days after I started playing they added a feature that allows you to move from chapter to chapter. I’m so happy! 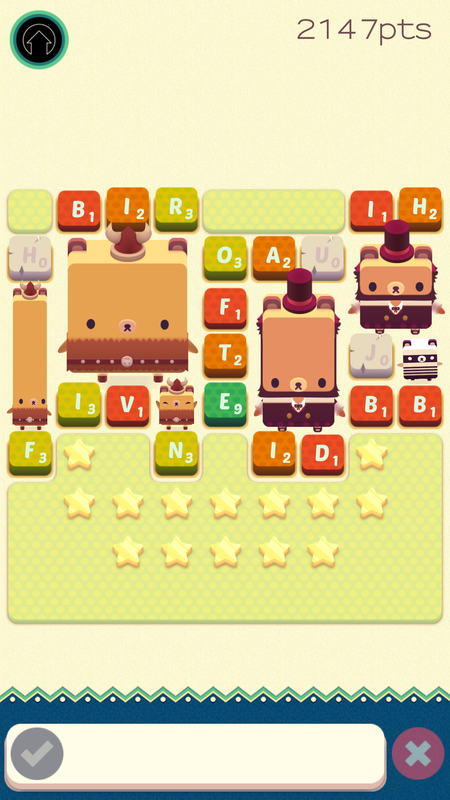 One of the cuter aspects is the bears grown on-screen as you play, moving the board along to reveal different letters. You spell a word and they grow out of the one of the letters. As you use the letters around them, they grow bigger, longer and wider. 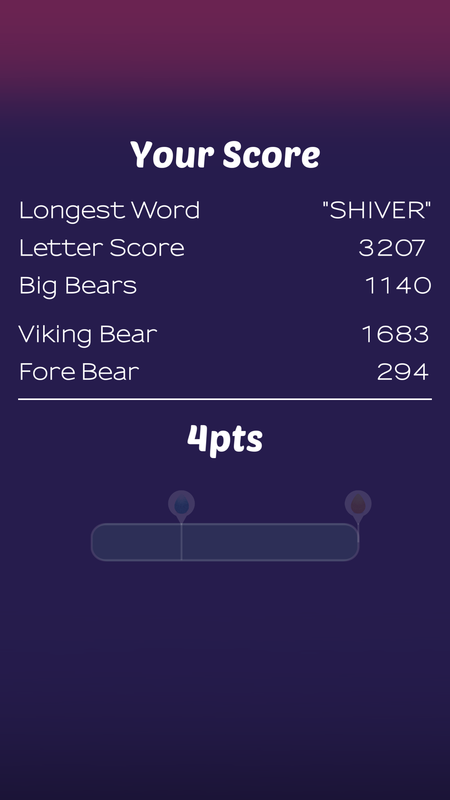 At the end of a puzzle, a bear uses some of the words you spelled to fill in a mad libs style saying. You can share these to social media or just move on. I love them. I will sometimes use the remix button on the bottom left to find one that is really funny and post it to my Facebook. Remember the in-game purchases I mentioned? There are two kinds honey and coins. Honey allow you to play the different daily puzzles. Coins buy you into the treasure events. The honey regenerates over time. Coins you gain by playing puzzles. You can unlock endless honey for $4.99. You can not get endless coins but you can purchase coins if you are having trouble earning them through the game. You can use money, honey or watching a video to earn more. Buying the endless honey is the same as just purchasing this well made and adorable game. Honestly, you can make as much coin as you want if you have endless honey. If you’re being impatient though, or you need coin fast they have given you the choice. How do you win? They give you two goals at the start of a level. Using the letter value, bears score multipliers and BIG WORDS you try to make one of the two goals. At the end of a game the bears that grew on your board add to the final score. The final score is a combination of all the points. 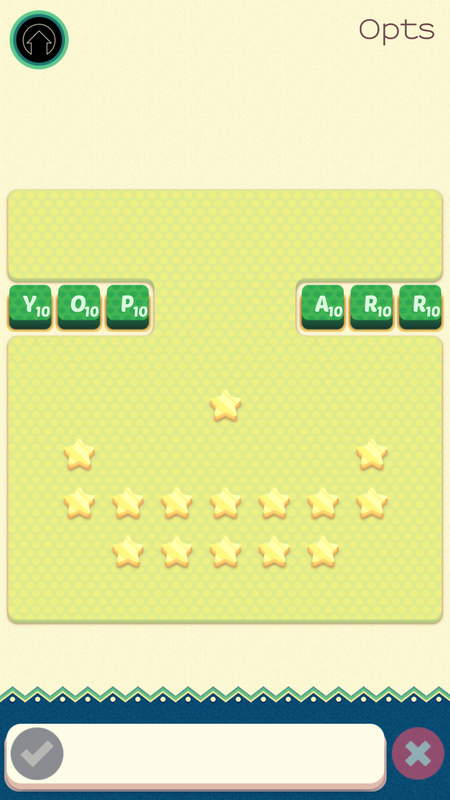 You gain coins from playing each level. It can be as little as 5 or as much as 50 from what I’ve seen. As a bonus they take a few of your words, thrown then in a mad libs style generator and create a hilarious photo you can upload to social media. Spry Fox is the company behind this adorable game. I found out it’s only been available for two weeks. Their other games include Triple Town and Road Not Taken. 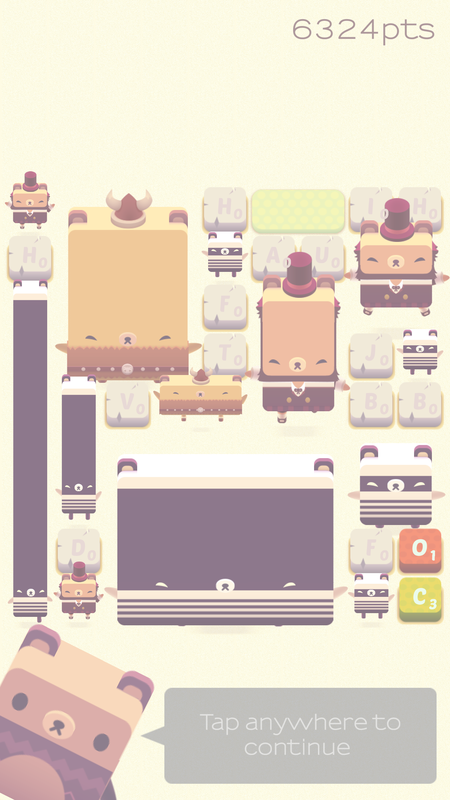 All their games feature the signature art style of blocky bears. 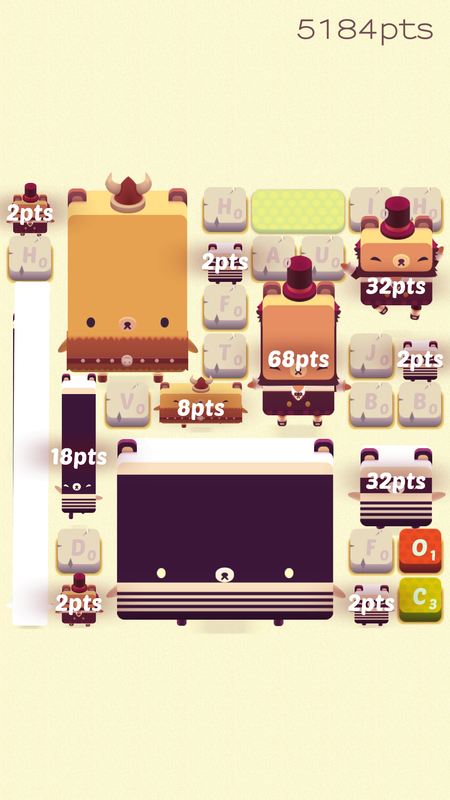 There is an older word game called Panda Poet which is more like Word Crack or Words With Friends, than Alphabears. Panda Poet you play against a computer or an online opponent. They have three days to spell a word. Triple Town you are building a town and have to protect it from the bears. Road Not Taken is a completely different style of game. It’s an adventure game where you rescue children lost in the woods. They still have bears though and foxes! They go to PAX every year. I’m really surprised I’ve never run into their games before now. I’m going to keep my eyes open from now on. They have a cool looking dragon game called Free Range Dragons that they showed off at PAX. They used their testers at the con to improve the game on the fly too. That’s an innovative use of a focus group that doesn’t know they are a focus group! I recommend this game. I NEED ALL THE BEARS!